Kiksuya, the 8th episode of Westworld’s second season, was the best episode the show has aired up to this point. And what made the episode so strong was that it included something the show has mostly lacked in its almost 2 season run: strong character development. The mystery that clouds so much of what is happening on the show means not revealing important elements to a character’s story. And the lack of those critical elements can leave viewers confused about character dialogue and motivation as their arcs move forward. 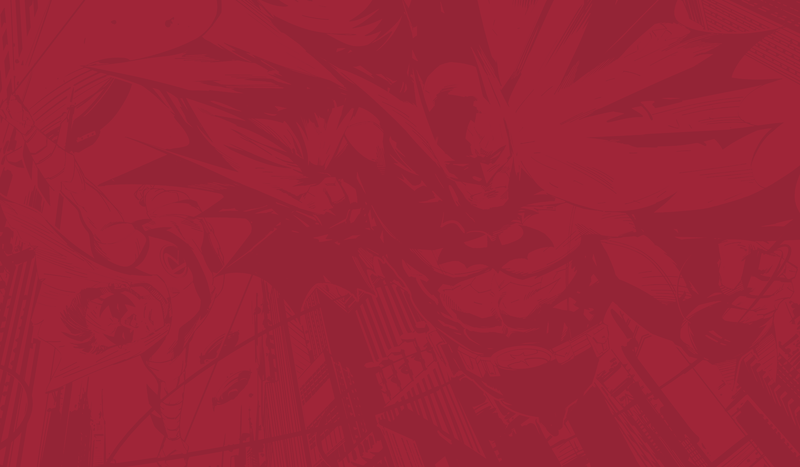 That will not be the case with Akecheta, the name of the featured character Sunday night, who we know more about than some characters who’ve had far more screen time. And the backstory for Ake (a name I will use often in this recap to avoid having to type Akecheta over and over) is just brilliant. So let’s get right to the recap as we look into a character who was awakened before being an awakened host was cool. “Kiksuya” picks up with the MIB left for dead. Or at least, he would’ve died if not for Akecheta “rescuing” him and taking him back to the Ghost Nation Camp. But Akecheta didn’t do this out of sympathy for the MIB. He wants to make the MIB suffer before he dies. Also at the camp is Maeve’s daughter. And seeing Akecheta brings memories of Mave to her daughter’s mind. Akecheta walks over to the girl and tells her not to be afraid. 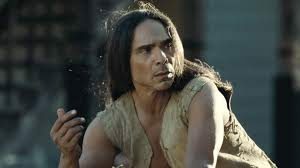 For it was Akecheta who introduced the maze to Maeve and her daughter. And he’s got an enlightening story to tell. Before joining the Ghost nation, Akecheta was part of a peaceful Indian tribe. And he was paired with a female host named Kohana. But Akecheta’s life was changed when, using a curiosity that had been placed there by his “creators,” he stumbled upon the white church right after Dolores shot Arnold. It was here that Akecheta discovered the maze, and his journey would begin. Akecheta investigating the scene after Dolores shot Arnold. That journey featured two key elements: informing other hosts about the existence of the maze and assisting humans (“those lives I was forbidden from taking”) who were suffering. Akecheta began painting the maze everywhere his fellow hosts could see it. We also see what happened to Logan after William sent him away naked on that horse. Akecheta was there to give him a blanket and tell Logan that he will be assisted. Now, at the time of Akechata’s awakening, Dr. Ford was a much different man. And I suspect that Ford is the one who wanted Akecheta’s story changed to try and keep him from further investigating the maze. That “narrative redesign” turned Ake into a bloodthirsty warrior. But the story change could not keep his mind from remembering that previous life. While the Ghost Nation was trading with Ake’s old tribe, Ake sees Kohana and is reminded of that previous life. So Akecheta takes Kohana (or Koha, as he calls her) in the middle of the night. He washes off his paint so Kohana will recognize him and have her memories kick in. 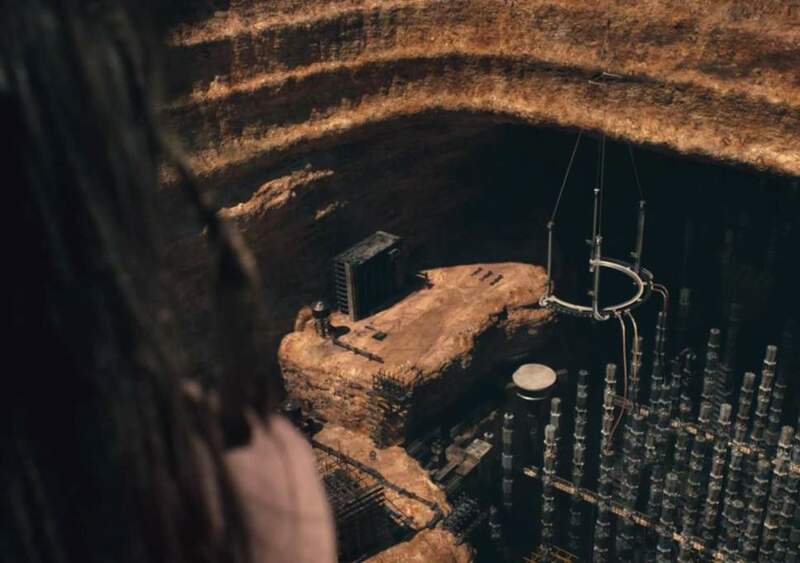 Ake’s mission is now to get himself and Kohana to “the door,” the project William showed Dolores back in the season’s 2nd episode. Ake believes if they can get through that door, it will take them to another world where their memories will be restored. 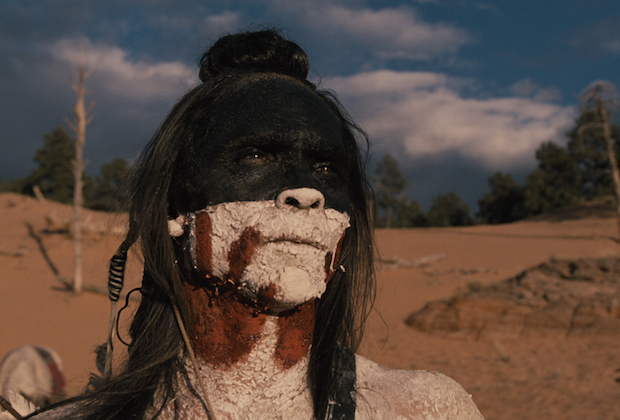 Akecheta sees the door and believes it will help host in Westworld get out, memories in tact. But the techs in the park discovered Kohana was out of her arc and took her back to HQ (or “down below” as Akecheta and his tribe call it). Ake searched everywhere for her, but he could not find her. However, he did discover he was not the only member of his tribe who’d become awakened. So Akecheta knew what he had to do: he allowed himself to be killed. The techs “down below” were shocked to discover that Akecheta hadn’t been updated in 10 years (which means no one has killed him and he’s largely stayed off the radar of guests who aren’t in distress). The run the update and leave him, allowing Ake to go down to the room of inactive hosts. With “Heart-Shaped Box” playing in the background, Ake discovers Kohana and many other former tribe members in that room. But he has another revelation (I know, he has a lot of those doesn’t he?). This one is that everyone in the park is missing someone. So his mission of exposing hosts to the maze goes into overdrive. He also tried to warn Maeve. But she never trusted him. So he left hints of the maze to her and her daughter. Bringing the whole episode together was Maeve’s small but significant arc. Sizemore lobbied to get her moved in front of the line of hosts to be operated on. But the bad news for Maeve and Sizemore is that Charlotte Hale will decide what to do with her. When Hale arrives, the surgeon tells her Maeve has had administrative access (something the humans in the park have been unable to achieve). And she’s talking to someone as she lays there. She’s been talking to Akecheta this whole episode. 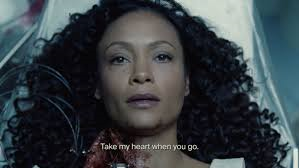 Maeve’s last words to Ake before the end of the episode. 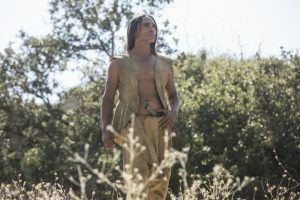 -When I rewatch this week, I will have to pay close attention to all the things Akecheta says and determine which quotes were meant for Maeve, not Maeve’s daughter. -While Dr. Ford has control over the hosts, he seemed to either forget about Akecheta or wasn’t able to direct his actions. Ford was genuinely surprised at the direction Akecheta took. 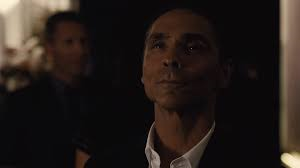 -At the end of the episode, Emily takes the MIB (her dad) with her and promises Akecheta that she “will do much worse to him” than Ake had in mind. -“…you know his sickness and the things he has done to spread it.” I’m curious to see if there is a literal disease the MIB has spread around the world, or if Ake is just referring to the MIB’s terrible treatment of hosts. -When Ake found Logan, was he able to cue someone to rescue the hallucinating human? Or was the blanket really all he left him with? -Kudos to the “previously on” sequence for reminding me that Akecheta was one of the hosts who made the pitch to Logan for Delos to fund Westworld. Akecheta appearing earlier in the season to make a pitch to Logan. -Akecheta used to be a part of a peaceful tribe with a woman named Kohana. -Akecheta discovered the maze after Arnold was shot. And he’s been gathering his people ever since. -William’s project is referred to as “the door” by Akecheta. And he believes it will allow his people to escape, memories in tact. -Akecheta and Dolores appear to be on different, opposing paths. -Maeve has had administrative acces to hosts, and she doesn’t have to be in the same location to use it. -Aketcheta was trying to protect Maeve and her daughter all those times Maeve saw him at the house. -Dolores is considered “the Deathbringer” by Ake’s people. Only two episodes remain in Season 2. And it looks like next week will be revealing a lot about William/the Man in Black. See you then.